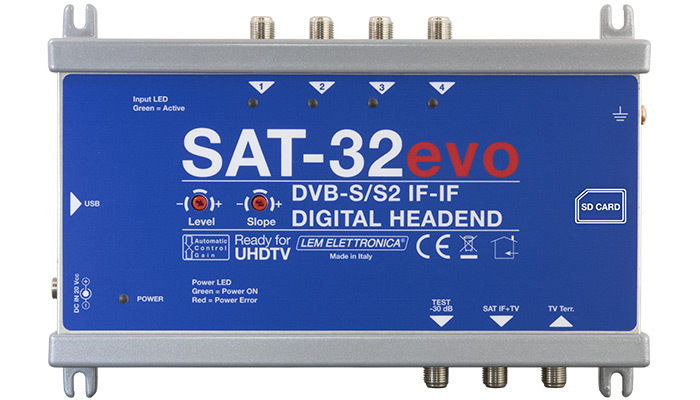 IF-IF Digital Channel Processor for up to 32 DVB-S/S2 transponders. PC Windows and Smartphone/Tablet Android programmable. Automatic Control Gain for each transponder. Inputs for Quad, Quattro and Wide Band LNB. Maximum Output Level 125dBµV.